Just a few miles from Hot Springs, Arkansas, Lake Hamilton has a number of top attractions to entertain visitors year-round. Lake Hamilton was built in 1932, when the Arkansas Power and Light Company built a dam across the Ouachita River. 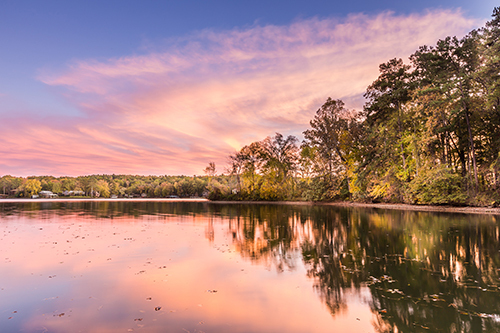 Today, this 7,460-acre lake is one of the most popular attractions in the state of Arkansas! Here are some of the top attractions that keep people coming back! Part of the University of Arkansas, Garvan Woodland Gardens were founded by local industrialist and philanthropist Verna Cook Garvan. The gardens are located along 4.5 miles of shoreline at the eastern end of Lake Hamilton. They’re renowned for the stunning Anthony Chapel, miles of beautiful trails and colorful peacocks roaming the grounds. Be sure to check out the Chipmunk Café, too! Garvan Woodland Gardens is open year-round, Monday through Saturday, 9 a.m. to 6 p.m.
For more information, visit their website at http://www.garvangardens.org. Located just a couple miles east of Lake Hamilton is Adventureworks Hot Springs. This zip line park offers an aerial view of the surrounding forest, with 12 zip lines! After being strapped into a secure safety harness, soar through the air on steel cables and get a bird’s-eye view of the trees, plants and wildlife. Whether going on a zip line is part of your bucket list, or you’re just looking for a fun outing for the whole family, Adventureworks is a great family outing. Adventureworks Hot Springs is open year-round, seven days a week. Tours are held Monday through Saturday at 9:30 a.m., noon and 2:30 p.m.; and on Sundays at noon and 2:30 p.m.
For more information, visit their website at http://adventureworks.com/adventurepark-hotsprings-ziplines. The Belle of Hot Springs is a double decker riverboat that holds sightseeing cruises across Lake Hamilton throughout the year. The boat has a restaurant on the main deck that serves sandwiches, barbecue, southern fried catfish and other Southern dishes. Tours go across Lake Hamilton, offering beautiful views of the lake and shoreline. The sights are especially beautiful in the fall, when leaves are changing colors all over the lake. Cruises are offered year round, and reservations are encouraged. Visit their website for special cruises scheduled for Valentine’s Day, Mother’s Day and more! 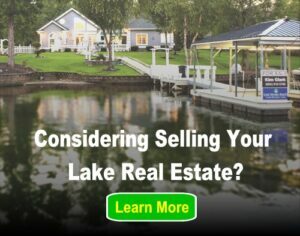 For more information, visit their website at http://www.belleriverboat.com. Made a national park in 1921, Hot Springs National Park is the oldest National Park in the United States. It actually runs through and around downtown Hot Springs and reaches down toward the northern shores of Lake Hamilton. Hot Springs National Park preserves the historic bathhouses built in the early 1900s around the area’s natural Hot Springs. It also features hiking trails, scenic drives, campsites, and picnic areas. The visitors center is also located in the restored Fordyce Bathhouse, which is open for free, self-guided tours. For more information, visit their website at https://www.arkansas.com/state-federal-parks/national-federal-parks/hot-springs.aspx. Had enough education? Take the kids to Pirate’s Cove Adventure Golf, just a few blocks from the water! This putt-putt golf course has waterfalls, pirate-themed décor and wholesome family entertainment. For more information, visit their website at http://www.piratescove.net/hot-springs. For those looking to spend time on Lake Hamilton itself, but don’t own property, there are four public-use parks. Carpenter Dam Park, Hill Wheatley Park, Hinsley Family Park and Entergy Park are all free and open to the public. Carpenter Dam Park covers 15 acres on the east end of Lake Hamilton and offers picnic tables, restrooms and a boat ramp. Hill Wheatley Park is located on the northern tip of Lake Hamilton. It’s known for its swim beach, and also has picnic tables, a boat ramp with dock, grills, restrooms and a one-mile nature trail. Hinsley Park does not have lake access, but is a five-acre open area for family activities such as picnics. It is located on the north side of Lake Hamilton. Entergy Park covers 30 acres on the eastern shore of Lake Hamilton. It has several picnic tables and pavilions, as well as two playgrounds. The park has a fishing pond, fishing piers and several nature trails. It also connects to Sonnybrook Landing, which has a boat launch and fishing pier. For a rundown of the parks on Lake Hamilton, visit www.lakehamilton.org/parks. Whatever your tastes, chances are if you’ve been to Lake Hamilton, you’ll be back there before long!